One touch of Paloma and you know it’s premium. Crafted from cotton jacquard, this is comfort, updated. The Paloma bedset is finished in sateen for a luxurious look. 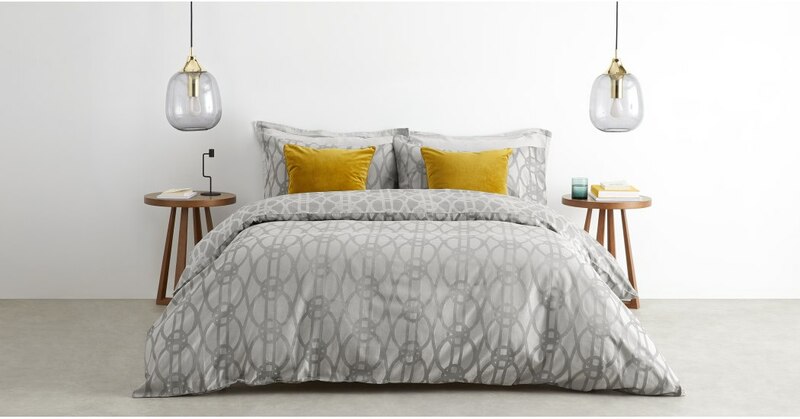 Its combination of striking shapes and an industrial tone are sure to make a statement in your bedroom. Think 70s style with a contemporary MADE twist.